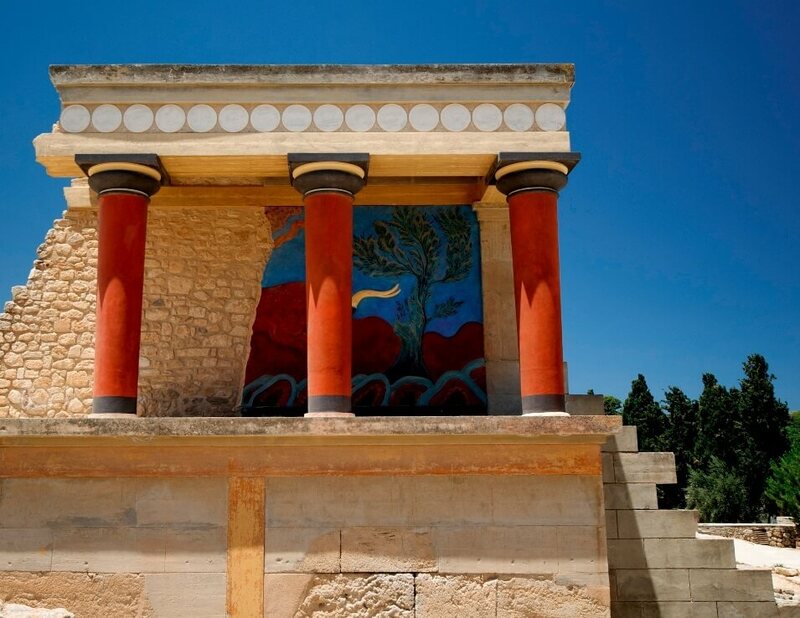 Knossos, is the largest Bronze Age archaeological site on Crete and is considered Europe's oldest city. The palace of Knossos was undoubtedly the ceremonial and political centre of the Minoan civilization and culture. It appears as a maze of workrooms, living spaces, and storerooms close to a central square. An approximate graphic view of some aspects of Cretan life in the Bronze Age is provided by restorations of the palace's indoor and outdoor murals, as it is also by the decorative motifs of the pottery and the insignia on the seals and sealings. The palace was abandoned at some unknown time at the end of the Late Bronze Age, c. 1380-1100 BC. The occasion is not known for certain, but one of the many disasters that befell the palace is generally put forward. The abandoning population were probably Mycenaean Greeks, who had earlier occupied the city-state, and were using Linear B as its administrative script, as opposed to Linear A, the previous administrative script. The hill was never again a settlement or civic site, although squatters may have used it for a time. Except for periods of abandonment, other cities were founded in the immediate vicinity, such as the Roman colony, and a Hellenistic Greek precedent. The population shifted to the new town of Chandax (modern Heraklion) during the 9th century AD. By the 13th century, it was called Makruteikhos "Long Wall"; the bishops of Gortyn continued to call themselves Bishops of Knossos until the 19th century. Today, the name is used only for the archaeological site now situated in the expanding suburbs of Heraklion. In the first palace period around 2000 BC the urban area reached a size of up to 18,000 people. 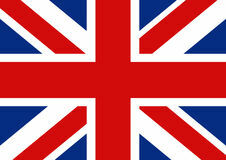 In its peak the Palace and the surrounding city boasted a population of 100,000 people shortly after 1700 BC. In Greek mythology, King Minos dwelt in a palace at Knossos. He had Daedalus construct a labyrinth (by some connected with the double-bladed axe, or labrys) in which to retain his son, the Minotaur. Daedalus also built a dancing floor for Queen Ariadne (Homer, Iliad 18.590-2). The name "Knossos" was subsequently adopted by Arthur Evans because it seemed to fit the local archaeology. The identification has never been credibly questioned, mainly because of that archaeology. Western civilization was thus predisposed by legend to associate whatever palace ruins should be found at Knossos with the legends of Minos and the labyrinth. The first name of the very first man to excavate at Knossos, Minos Kalokairinos, was taken from the legend. As far as is currently known, it was Stillman who, seeing the sign of the double axe on the massive walls partly uncovered by Kalokairinos, first associated the complex with the labyrinth of legend. Evans agreed with Stillman. The myth of the Minotaur tells that Theseus, a prince from Athens, sailed to Crete, where he was forced to fight a terrible creature called the Minotaur. The Minotaur was a half man, half bull, and was kept in the Labyrinth - a building like a maze - by the king Minos, the ruler of Crete. The king\'s daughter Ariadne fell in love with Theseus. Before he entered the Labyrinth to fight the Minotaur, Ariadne gave him a ball of thread which he unwound as he went into the Labyrinth so that he could find his way back by following it. Theseus killed the Minotaur, and then he and Ariadne fled from Crete, escaping her angry father. As it turns out, there probably was an association of the word, whatever its etymology, with ancient Crete. The sign was used throughout the Mycenaean world as an apotropaic symbol: its presence on an object would prevent it from being "killed". Axes were scratched on many of the stones of the palace. It appears in pottery decoration and is a motif of the Shrine of the Double Axes at the palace, as well as of many shrines throughout Crete and the Aegean. And finally, it appears in Linear B on Knossos Tablet Gg702 as da-pu2-ri-to-jo po-ti-ni-ja, which probably represents the Mycenaean Greek Daburinthoio potniai, "to the mistress of the Labyrinth", recording the distribution of one jar of honey. A credible theory uniting all the evidence has yet to be formulated. Under Minos' rule, Knossos flourished through maritime trade as well as overland commerce with the other great cities of Crete, Kato Sakro (Phaestos) and Mallia. Knossos was destroyed and re-built at least twice. The first palace identified in modern times was built c. 1900 BCE on the ruins of a much older settlement. Based upon excavations done at the site, the first palace seems to have been massive in size with very thick walls. Ancient pottery found throughout Crete, at various sites, indicate that the island was not unified under a central culture at this time and so the walls of the palace were most likely constructed to their size and thickness for defensive purposes. As the writing of this period, so-called `Cretan Heiroglyphs', has not been deciphered, nothing is known about this time save what can be discerned through archaeological evidence. This first palace was destroyed c. 1700 BCE and re-built on a grander, though less massive, scale. Great attention was paid to intricacy of architecture and design with less effort spent on defensive walls. As the pottery of this period shows a unity of culture throughout Crete, it has been determined that the culture of Knossos prevailed at this time and the island was a unified nation under a central government. This palace had four entrances, one from each direction, all leading to the central court. As the corridors within were dark and circuitous, it is thought that this gave rise to the story of the labyrinth of Minos. The throne room was particularly impressive. According to The British School at Athens, "Two double doors led into the Throne Room with gypsum benches on three sides and the magnificent throne in the centre of the north wall flanked by the reconstructed Griffin fresco." The scholars of the British School have also speculated that the throne room was not intended for the ruler but, rather, as the seat for the goddess who would receive supplicants and sacrifices there. 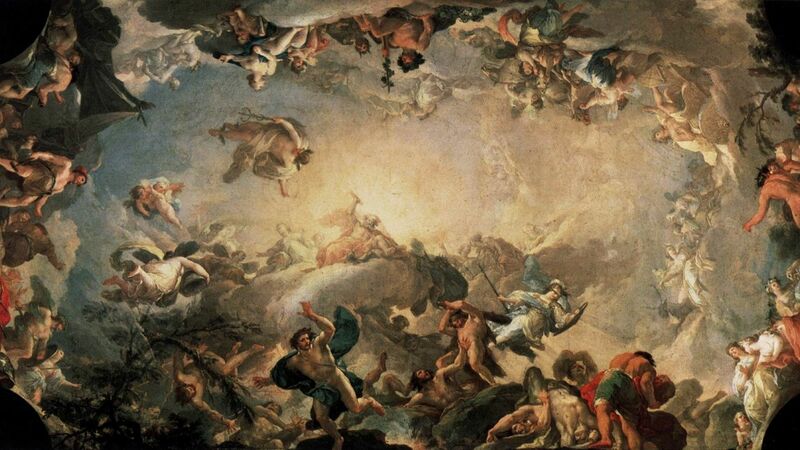 This theory is based upon wall paintings and other evidence found at the site which suggest the king's throne was most likely in the central court and the throne room was more ceremonial and religious in nature. The Snake Goddess of the Minoans was the supreme deity who may have been an early version of the Greek goddess Eurynome who danced with the serpent Ophion across the chaos of the primordial sea in the act of creation. Images and figures of the Snake Goddess (now at the Iraklion Museum) have been found at Knossos and elsewhere in Crete dating from this period. Further evidence of the goddess is the repetition of the motif of the double axe, most notably in the Hall of the Double Axes in the palace. There is no doubt that the double axe symbolized an important goddess of the Minoans but it is not clear whether it was the Snake Goddess or another. The city of Knossos, and almost every other community centre on Crete, was destroyed by a combination of earthquake and the invading Mycenaeans c. 1450 BCE with only the palace spared. The eruption of the volcano on the nearby island of Thera (Santorini) in c.1600 or 1500 BCE has long been held a major factor in the destruction of the city and second palace. Recent scholarship, however, argues against this theory citing Mycenaean activity at the palace after 1450 BCE. The Mycenaen writing system, known as `Linear B', continues in Crete after the eruption of the Thera volcano and there is further evidence that the Mycenaens re-built the damaged palace. 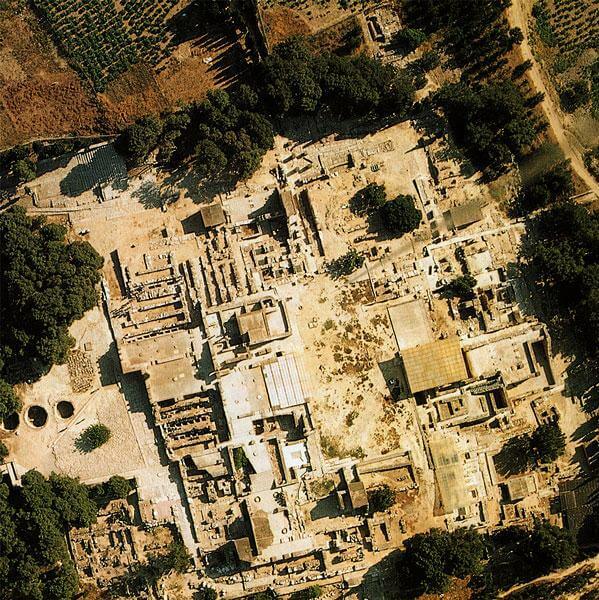 In fact, it appears that Knossos became an important base of operations and capital of the Mycenaeans until it was destroyed by fire and finally abandoned c. 1375 BCE. The date which traditionally marks the final end of the Minoan civilization is 1200 BCE after which there is no evidence for the culture. 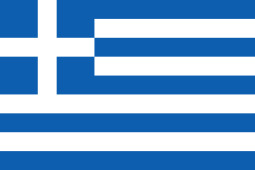 Some scholars cite the final date as 1450 BCE with the Mycenaean invasion and others claim c.1375 or c.1300 BCE on account of the fire which destroyed both palace and city. However long the Minoans may have continued on the island, following the fire the ruins of the great metropolis were abandoned and left to decay. For centuries, Knossos was considered only a city of myth and legend until, in 1900 CE, it was uncovered by the English archaeologist Sir Arthur Evans and excavations were begun. Through frescoes on the walls, the excavated site revealed more about the Minoan sport of bull jumping and the ancient story of Theseus and the Minotaur (half-man-half-bull) seemed more probable than fanciful. The possibility that there existed a Minotaur became more acceptable once it was understood that, in the Minoan sport of bull-jumping, the male athlete became one with the bull as he vaulted over the bull's horns. This sport, then, it is now supposed, gave rise in ancient consciousness to the "myth" of the Minotaur through the impression that these athletes were half men and half bulls. The story of the labyrinth also was given more credence once the intricate interior of the palace was uncovered. It was Evans who first called the ancient inhabitants of Crete 'Minoan' after King Minos of Knossos, and his efforts in excavation and re-construction, however controversial, paved the way for all future work in both physical and cultural anthropology concerning the Minoan civilization.